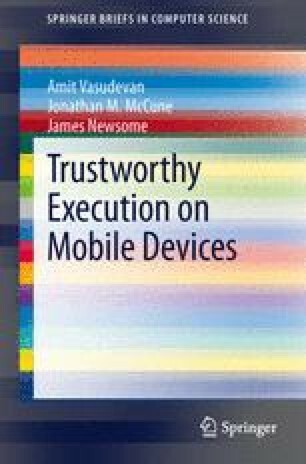 Here we describe a set of features intended to enable secure execution on mobile devices. This can be interpreted as the wish-list for a security-conscious application developer. The strength of these features can typically be measured by the size, complexity, and attack surface of the components that must be relied upon for a given security property to hold. This is often referred to as the trusted computing base (TCB).